A loan of $2,200 helped a member to buy various colors & thicknesses of thread for her beautiful “huipiles”. Maria is 33 years old * a member of “Las Rosas de Chuguexa” Trust Bank. She is a mother who is separated & has 2 children (8,13). With only an 8th grade education, she works hard at her textile business creating the beautiful, traditional blouses called “huipiles”. She appreciates this 1st loan from KIVA investors & will earmark some of the income for the education of her children. She wants them to grow up to be successful men! Maria is requesting a loan to buy various colors & thicknesses of thread for her beautiful “huipiles”. She wants them to be among the most best in her area & draw customers from all parts. 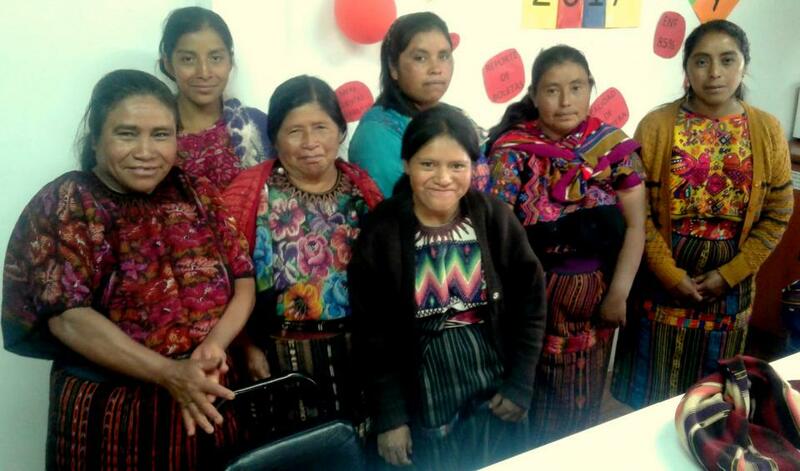 Maria & her friends in the Trust Bank expand their worlds with the educational sections of their monthly meetings, part of the “Microcredit Plus” program of Friendship Bridge (loans + education). Topics cover an aspect of 4 main subjects: women, health, families business. They learn from a Facilitator who uses role playing, games, pictures & diagrams to share the information! Friendship Bridge is grateful that KIVA investors partner with the organization to deliver the “Microcredit Plus” program to these underserved women. Women like Maria are improving their economic situation & becoming more empowered. Their families benefit as well! Thank you!